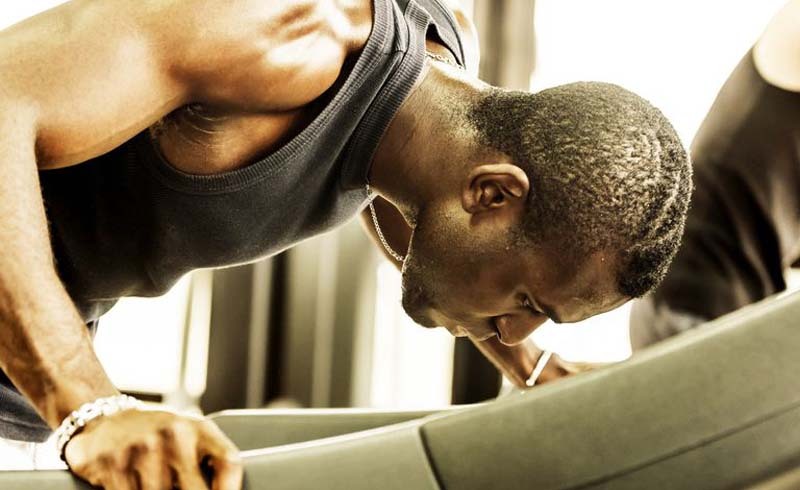 For the first time ever, you've been sticking to a consistent workout routine. You're hitting the gym in the evenings, no matter what happy hour plans your coworkers goad you with. You're even managing morning sessions — and, even more impressively, you're staying true to the meal plan you committed to at the start of your program. With this momentum, nothing will stop you from achieving your goals — until you start feeling that tickle in your throat. Then comes the coughing, then sneezing, and then you can't sleep. You've caught a cold, and now that it's here, your gains are in jeopardy. Do you push through the discomfort, or shut down your progress to recover? 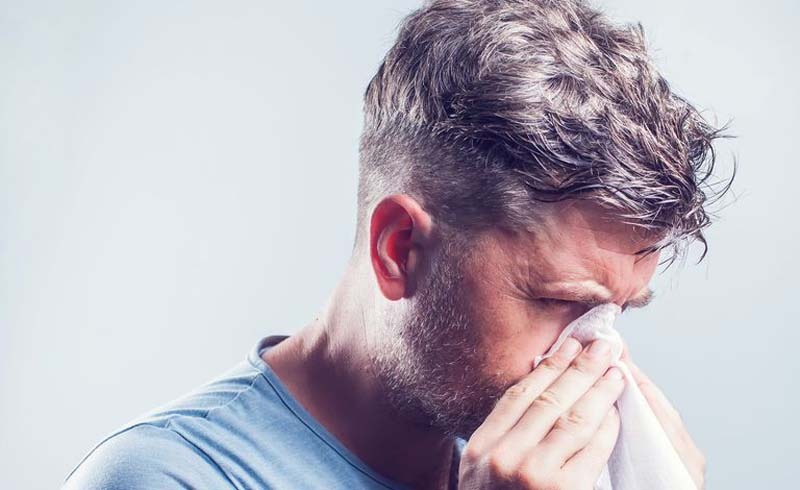 Colds and other minor illnesses are bound to throw you off your game at one point or another, since the CDC estimates that US adults catch a cold two to three times a year. Since you're going to have to deal with the symptoms either way, you should have a game plan to decide when it's serious enough to pause your routine.. If you’re sick but still want to work out, ask yourself one question: Are your symptoms above or below your neck? For symptoms isolated above the neck — think the congestion, sore throat, or sneezing of a common cold — you can continue light or moderate activity. Try taking a non-drowsy decongestant to help fight your symptoms. If your energy level feels good enough, you can head to the gym: just dial back the intensity of your workout. For instance, if you were set to do some sprints, try jogging instead. Or if you’re lifting that day, dial back your weight and up your reps—just make sure to take longer rest breaks than usual between your sets. Think of your fellow gym-goers, too: Make sure you wash your hands, wipe down your equipment after use, and cough or sneeze into your shoulder rather than your hand to reduce the risk of spreading your germs to others. If you start to feel worse, take down your intensity a notch or end your workout early, so you don’t make your sickness worse. And get back to your normal routine gradually: Diving back into intense exercise—especially when you’re not feeling 100 percent—can actually suppress your immune system, which can slow your recovery. If your symptoms are below the neck — coughing, shortness of breath, chest tightness, nausea, vomiting, or diarrhea — or system-wide, like fever or joint aches — you should flat-out skip your workout. These symptoms can point to a more serious infection. Plus, not only will you likely not be able to tolerate your normal routine, but attempting it could also put you at risk for respiratory problems, dehydration, dizziness, or even passing out. U.S. Daily News: Should You Work Out With a Cold?